Powered exclusively by Rider students, 107.7 The Bronc features a full, student executive staff modeled after and designed to operate like a “free market” radio station. 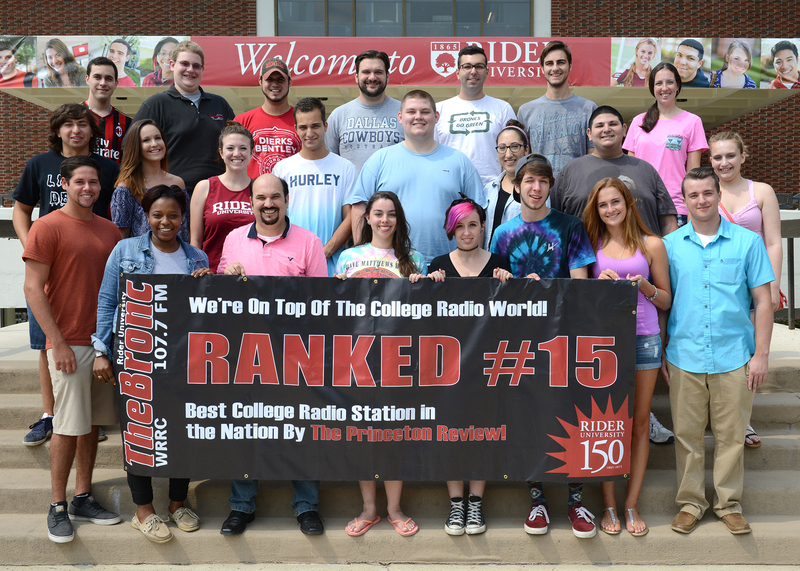 Our amazing staff has earned it’s spot as one of the highest ranking college radio stations in the state and the nation. 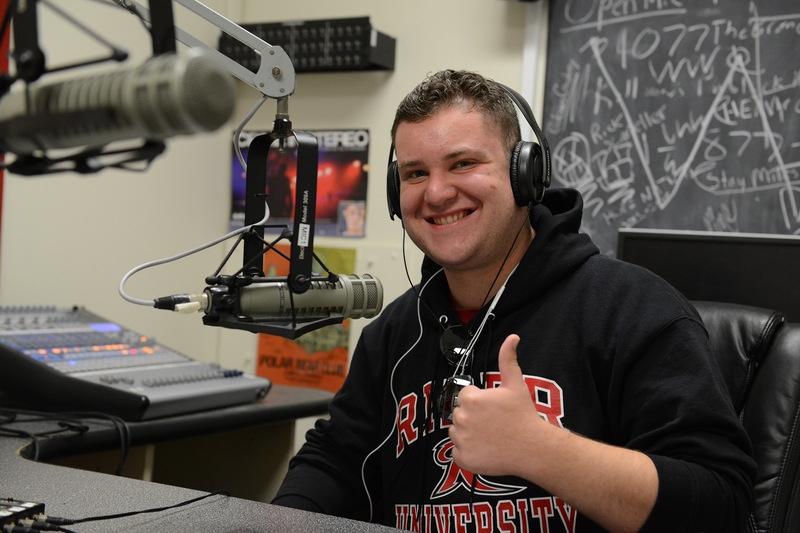 In 2015, the New Jersey Broadcasters Association (NJBA) nominated the Bronc for “Best College Radio Station” and the Princeton Review ranked The Bronc 15th Best College Radio Station in the Nation. We may not have won the award from the NJBA, but The Bronc was the only college radio station in New Jersey or Pennsylvania ranked in the entire Top 20. 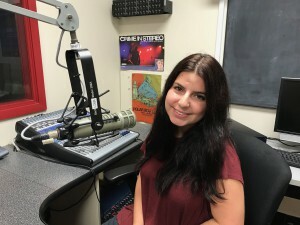 107.7 The Bronc has also earned numerous NBS-AERho Awards for commercials promoting events like Scream Screen as well as Best Audio News segment for Bronc News Round-Up. 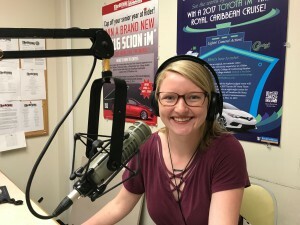 To choose an executive staff member you would like to get in touch with about a song we’re playing, a contest we’re airing, underwriting on The Bronc or to just learn more about our student staff members click any of the tabs below. 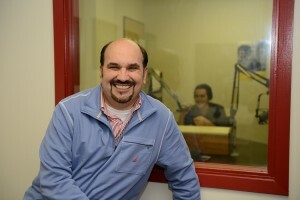 A 20+ year radio veteran, John has been the GM of 107.7 The Bronc since September 2008. Before coming to Rider, John worked for more than 14 years at Nassau Broadcasting wearing many hats. 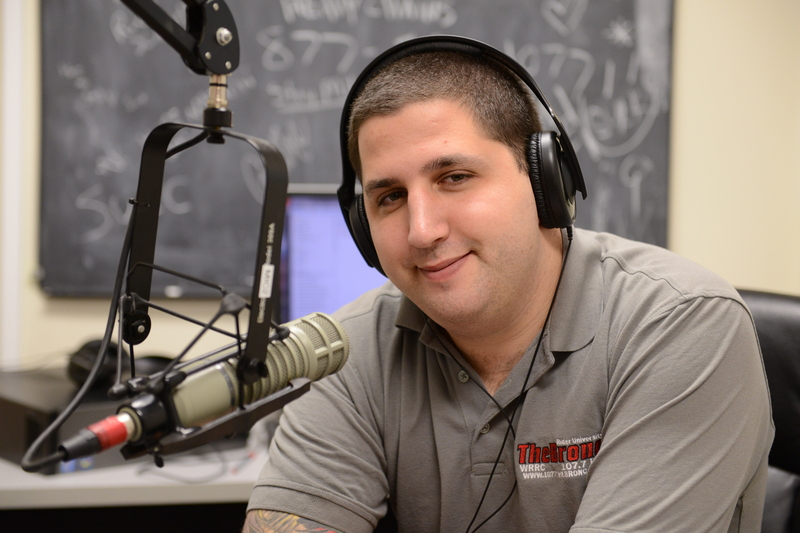 John was a award-winning Creative Director, Man On The Street for both 97.5 and 94.5 WPST-FM and Co-Host of Philly Sports Live on ESPN 920 WPHY-AM. Eric Weinstein is majoring in Communication. A veteran of the United States Army, Weinstein enjoys spending his time around bonfires, playing paintball and playing video games. Weinstein also has a Twitch stream under the user name Linky102. 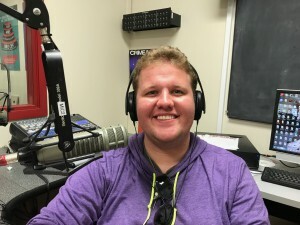 Jordan is a Filmmaking, TV and Radio major with a concentration towards Filmmaking. 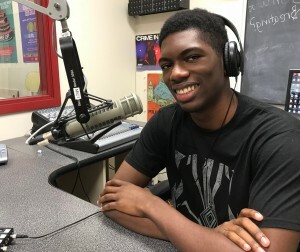 In high school, Jordan was the lead anchor for their TV Station, K.D.T.V and President of the Television Media Club for two years. 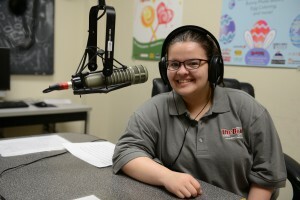 She is not only involved with the Radio Station but along with the Improv Club R.I.O.T, one of the hosts on our show VIP After Party, and is always willing to help and loves appearing on shows with her friends. She is a huge movie buff with her favorites ranging from The Star Wars Saga, The Lion King, and A Quiet Place. Jordan in her spare time also plays a broad range of video games, Fallout 4 being one of her top five, and was almost a Competitive Gamer! She also enjoys editing and of course hanging out with her friends and family, taking photos, playing board games and card games with her friends, and listening to new music. She tends to keeps a bright smile and a sweet personality to all she meets because making people smile is her life goal! Her favorite quote she lives by is “Life is like a movie, the titles start when you first breathe and the credits roll on your last, what you do with your life between those periods is the raw footage that only you can tell”. Luis is a Graphic Design major. 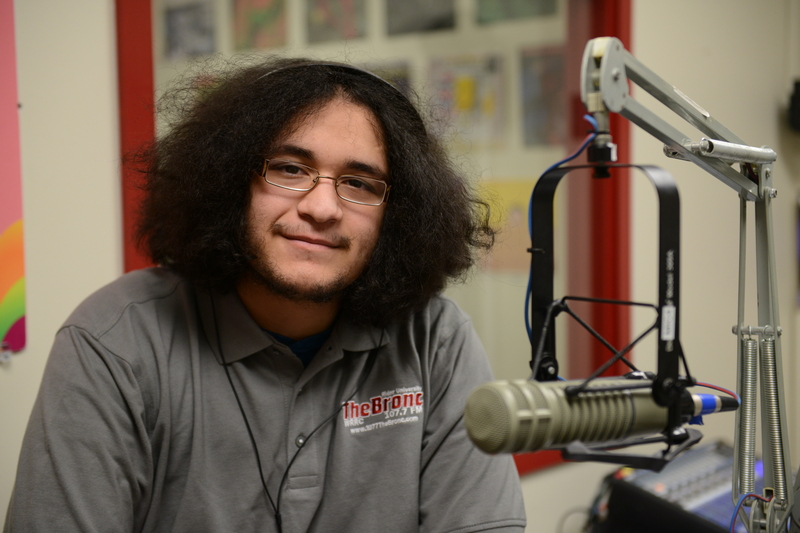 Luis is an experienced member at 107.7 The Bronc and has engineered many broadcasts and has contributed his time to the station. Luis is a big comic book enthusiast, has a small dog, a sweet tooth, and always tries to the best of his ability in whatever task he is given. Luis is also level headed and is open to trying anything new. Chris, as part of the graduating class of 2021, is a Psychology Major with a Criminal Law Minor here at Rider University. 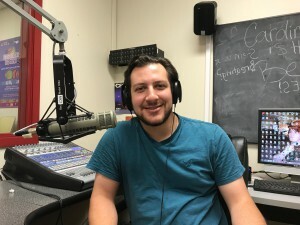 While also holding the role as Assistant Program Director at 107.7 the Bronc, Chris also works on the radio show, In the Mix as an engineer and host of the Lawrenceville Sponsored show, Mental Fitness. 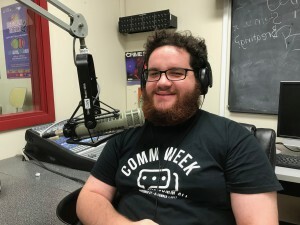 Outside of the radio station, Chris finds himself an avid musician and writer, ranging from poetry to screenwriting to short stories and so forth. Robert Negoescu, class of 2019, is a Radio/TV/Film major with a concentration in Radio. He transferred into Rider University in the Fall of 2017, and joined the radio station here almost immediately. His hobbies include, video games, origami, coin collecting, and card magic. He also thoroughly enjoys helping to create the various promos and sweeps that go over the air, and hopes to do that as a career. Erin-Marquise is majoring in Popular Music Studies, with a minor in Arts Administration. Along with being the Promotions Director, he is the host and DJ of his own show, Time Machine, which began in February 2016. The show was made to introduce classic Hip-Hop and R&B music that many people may not have heard nowadays. 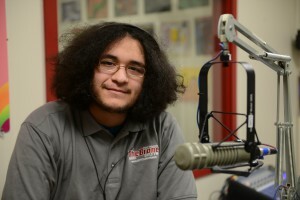 His DJ name is “DJ Time Turner” when DJing either on his show and/or for events on campus with The Bronc. Outside of the Bronc, he is a music composer and performer, as well as one of the leaders of the Unashamed Gospel Choir on campus. 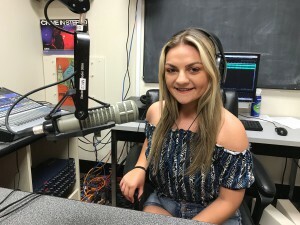 Madeline is the Assistant Promotions Director at 107.7 The Bronc. She is a Film, TV, and Radio major with a TV Production concentration. During her first year at The Bronc, she broadcasted and DJed numerous events, her favorite being the Philadelphia Auto Show. What Madeline enjoys about the radio station the most is that it gives her great experiences for a future career in the radio industry. Madeline is a huge fan of the Back To The Future trilogy, The Office, as well as all types of music from country to pop, and everything in between. Madeline’s dream job is to work at either NBC as a producer or Z100 in New York City. Dana is the Social Media Director at 107.7 The Bronc, and a Public Relations major with a Theatre and Event Planning/Production minor. 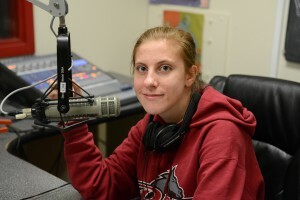 She also hosts her own show on 107.7 The Bronc called “Broadway Bound”. In addition to The Bronc, she’s also a Rider Bonner Community Scholar and a member of Alpha Psi Omega. In her free time, you can find her doing and seeing as much theatre as possible, listening to musical theatre cast albums, interacting with Broadway performers on Twitter, and hanging out with friends and family. Matthew Mysholowsky is a student majoring in Filmmaking, TV, and Radio with a concentration in Radio. 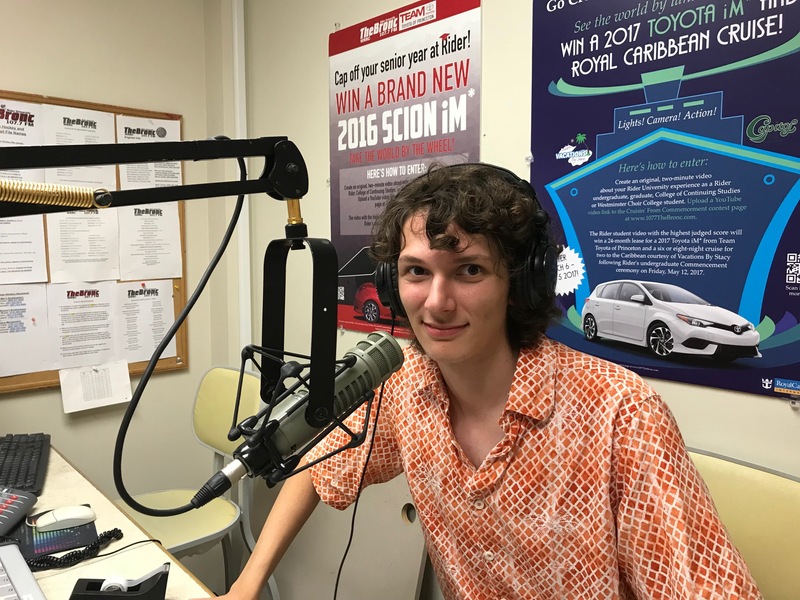 What Matthew enjoys about the radio station the most is that it gives him great experience for a future career in the radio industry. 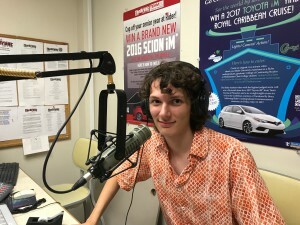 For him, radio is an excellent platform for both music and discussion, which are two things that Matthew really enjoys. 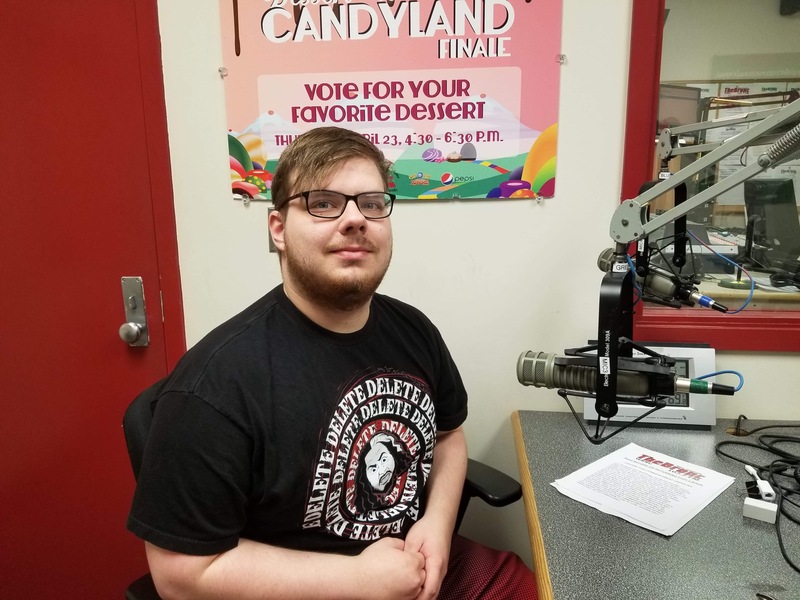 Matthew’s many interests include playing video games and uploading his gaming videos to YouTube channel (Edge0626), music (specifically rock and old school hip-hop), MMA and pro wrestling. Leah is an Environmental Science major at Rider University. 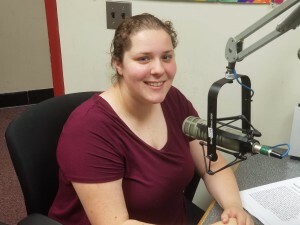 She is the oddball at 107.7 The Bronc being the only science major. Having worked at The Bronc since the beginning of 2016, Leah has acquired vast amounts of knowledge regarding radio technology. 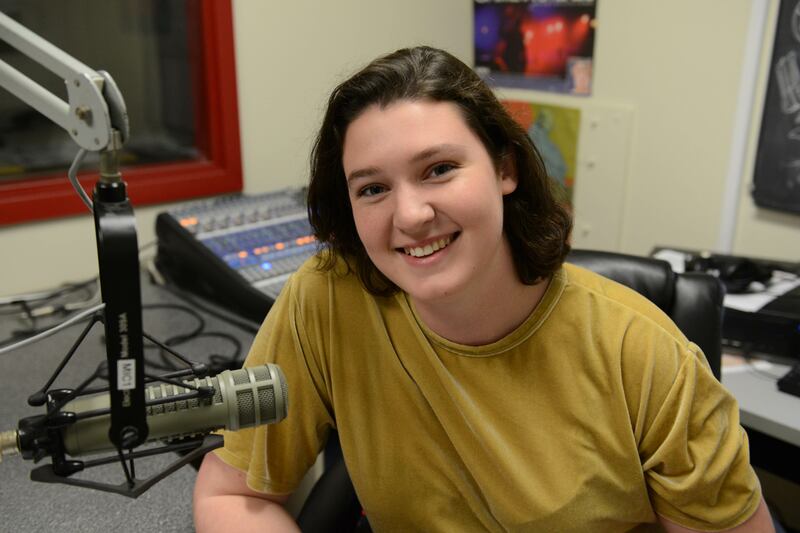 Leah loves rock, EDM, and punk music and regularly plays these music genres on her radio show, No Namé. When she isn’t working or in class, you can find Leah lounging around her second home, the station. Fun Fact: She is an INSANE cat lover and an avid gamer. Alexa is graduating Rider in 2021. She is a double major in Sports Media and Dance with a minor in filmmaking, TV and Radio. She is a member of the Leadership Development Program. Her interests include dancing, makeup, watching hockey and musical theater. She is working towards becoming a social media specialist for a sports team. She is very excited to be the Bronc’s News Director for the upcoming year. Jack Neal is an Elementary Education and Communication Studies Major. 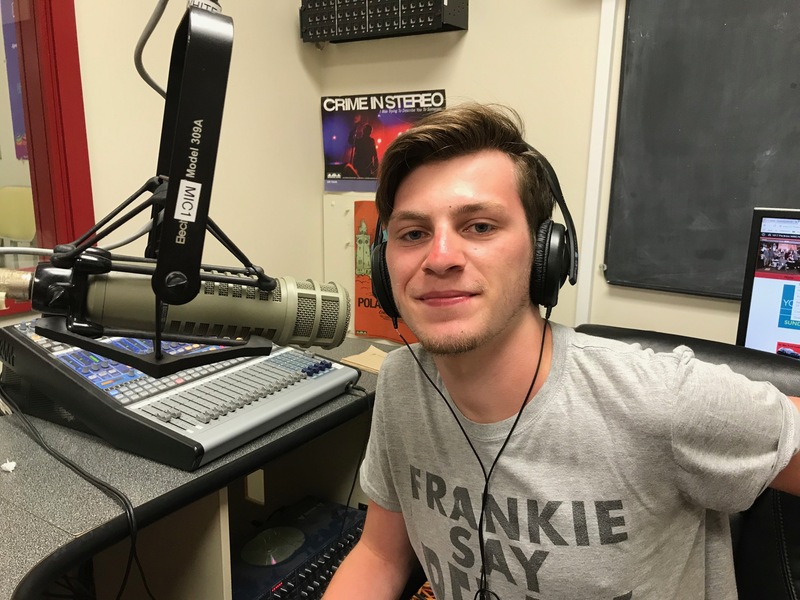 Jack enjoys playing any type of genre including classic rock, rock n roll, alternative, punk, and metal on 107.7 The Bronc. Once in the while, Jack would do an hour long of playing bands that he considers to be underrated. When Jack is not on air, he enjoy playing guitar, video games, watch movies, and hang out with friends. Emma is a Graphic Design major and Web Design minor at Rider. She has been a part of the Bronc since her sophomore year. She is a huge graphic design nerd and loves implementing what she learns while working for The Bronc. You can usually find her on campus in the project lab, or eating chicken nuggets at Cranberry’s. Outside of school, Emma spends most of her time watching movies, listening to music, and baking. Gabriella is currently a junior graduating in 2020, she is studying Graphic Design and Web Design. On campus she is a member of the Rider Dance Ensemble and will pursue the Technology chair position for the upcoming year. Gabriella has done competitive dance since she was five years old and has continued at Rider. In her free time she loves anything involving the arts like drawing, painting, and dance. Her favorite style of painting includes using acrylic paints. She also has an interest for photography and enjoy’s taking photos of landscapes.